With the ever-growing NFL fan base here in the UK, I’ve created a blog series called #WomenInNFL. The series celebrates female fans here in the UK, as well as the women leading the way for the NFL itself. The aim is to ensure there are more females out there enjoying the sport, and to empower them with confidence in talking about the game and sharing their passion for it. 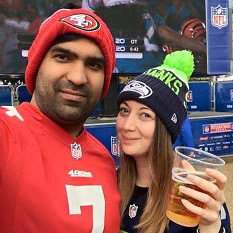 Celebrating female NFL fans in the UK: Introducing Raiders fan, Kimmi. Celebrating female NFL fans in the UK: Introducing Chicago Bears fan, Kath Roden.